Artisan multi-function tool. 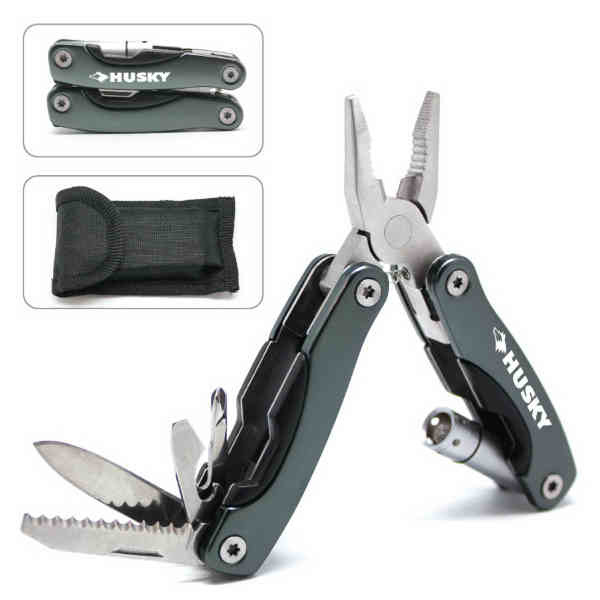 Compact stainless steel multi-tool features spring loaded long nose pliers, wire stripper,wire cutter, LED flashlight, knife, Phillips screwdriver, flat screwdriver, can/bottle opener and saw blade. Nylon belt pouch with belt loop included. Open size: 4 1/4"h x 2"w x 3/4". Size: 2 5/8 " x 1 1/4 " x 3/4 "